Bronx River Art Center (BRAC) was founded in 1987 to bring professional arts programming to a culturally underserved population. For more than 30 years (including several years of arts programming under the umbrella of the first Bronx River Restoration project), this multi-arts center has filled the West Farms community of the Bronx with art and environmental experiences. Our programs are designed to encourage our residents to engage in creative activism towards the revitalization and future of their neighborhood. We offer youth programs after school and on Saturdays. The classes are taught by professional artists, and they include Painting, Drawing, Cartooning, Ceramics, and more. Please refer to the education section for fees, fee waivers, and scholarships. We currently offer a free Teen Project Studio as well. Fee-based classes for adults are also available, as well as workshops for schools and community-based organizations. Our Exhibitions Program has become known for both its deft curatorial vision and its ability to produce ambitious, energetic exhibitions with ingenuity and immediacy. In recent years, we have exposed various paradigms of contemporary art to the litmus test of a local Bronx community and the cultural, economic, and social landscape that defines it. Our Exhibitions Program also provides a resource for artists and guest curators, by giving them a platform inside a reality that has not been fully acknowledged by academia or traditional institutions. Our year-round performing arts productions offer our local West Farms community an eclectic mix of cutting-edge talent from the Bronx and beyond. This series of interdisciplinary performances embraces popular, contemporary, experimental, and classically-inspired music, dance, performance art, and poetry. Additionally, our annual June Performing Arts Festival, “Bronx River Sounds," acts as a catalyst for emerging and established groups to showcase their work to a multicultural community in a comfortable and open setting. Studio space is available to artists for up to two years, at below-market-value rates. The studios are well-lit, 500-square-foot, non-living spaces with 24-hour access. Artists are selected on artistic merit based on studio availability on an ongoing, rolling basis. The Artist Studio Program aims to create a creative environment where professional artists of all backgrounds can communicate with one another and the community while pursuing their own work. For more information about each of our programs, please contact the appropriate staff person. The Bronx River flows across 23 miles through southern Westchester and the Bronx, offering a natural corridor for fishing, strolling, biking, boating, and nature study, amid the clamor and bustle of urban life. It is the only major watercourse within city limits that is not entirely tidal. Called Aquehung or “River of High Bluffs” by the Mohegan Indians who first lived and fished along it, the river attracted European traders in the early 1600s for the sleek, fat beaver that proliferated there. In 1639, a wealthy Swede, Jonas Bronck, purchased 500 acres from the Mohegans, and mills began to sprout up and down “Bronck’s River”. By the mid-1700s, as many as 12 mills were manufacturing paper, flour, pottery, tapestries, barrels, and snuff, powered by water-based energy. The construction of the New York Central Railroad in the 1840s turned the valley into an industrial corridor, and by the end of the 19th Century, the Bronx River had degenerated into what one official commission called “an open sewer”. The history of the river since the 1880s has been a series of efforts to reclaim and protect it from the escalating forces of urbanization. Today, hundreds of thousands of commuters speed across the Bronx River, and dozens of industries flourish on its banks. But underneath the highways and elevated tracks, behind the warehouses, guardrails, and fences, the river still rushes energetically, providing a vital slice of nature for wildlife and Bronx citizens. In recent years, people have returned to the Bronx River, drawn back to a place that has remained true to itself, in a region where much else has changed. 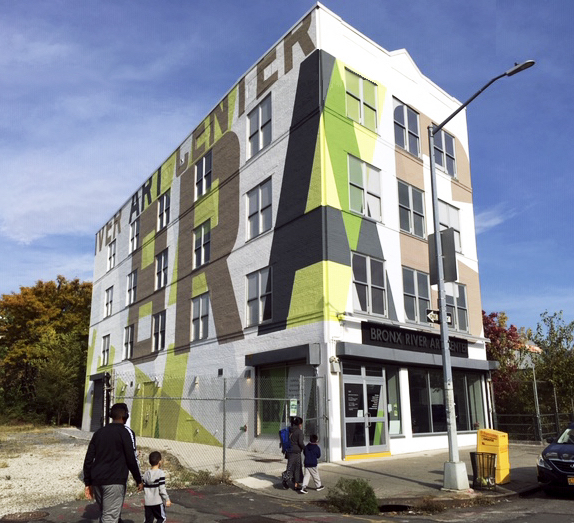 Bronx River Art Center (BRAC) has been a member of the Bronx River Alliance since its inception in 2001, and prior to that, served as a participant in the Bronx River Working Group since 1999. 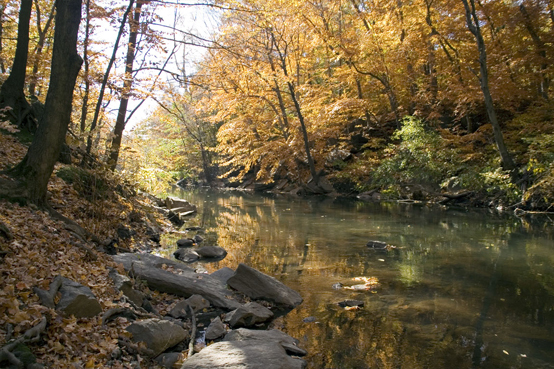 BRAC was formed out of the first Bronx River Restoration Project, during the mid-1970s, as an arts program to help engage the community in the revitalization and stewardship of this natural resource.